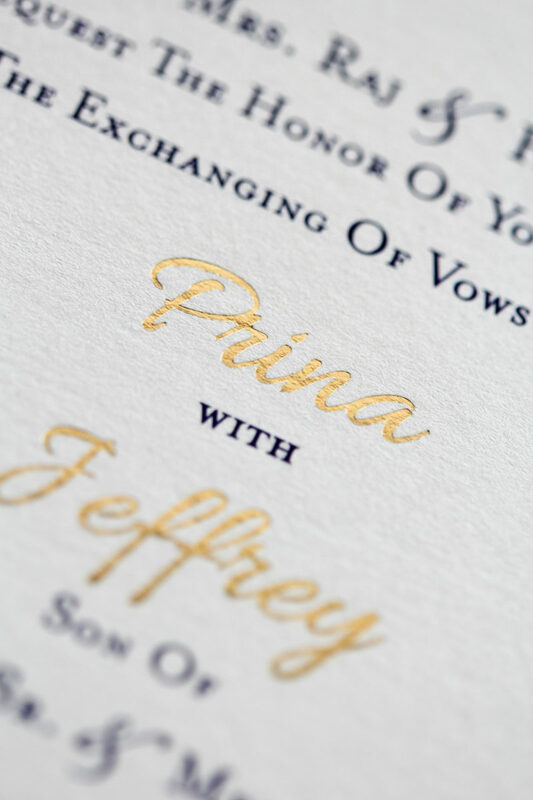 The modern exotic cousin to our pure gold classic Cocomar design, this version pairs scroll baroque motifs with vivid color bringing together old and new in a perfect fusion. 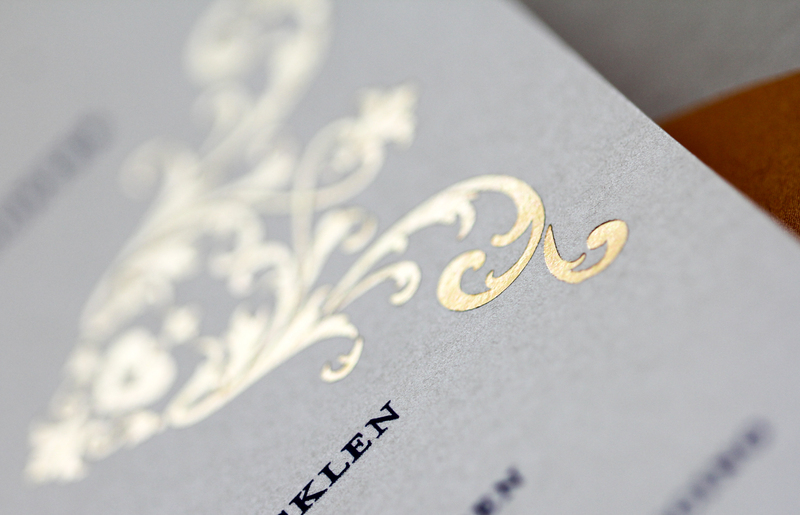 Gold foil and silk screen with laser cut accents. 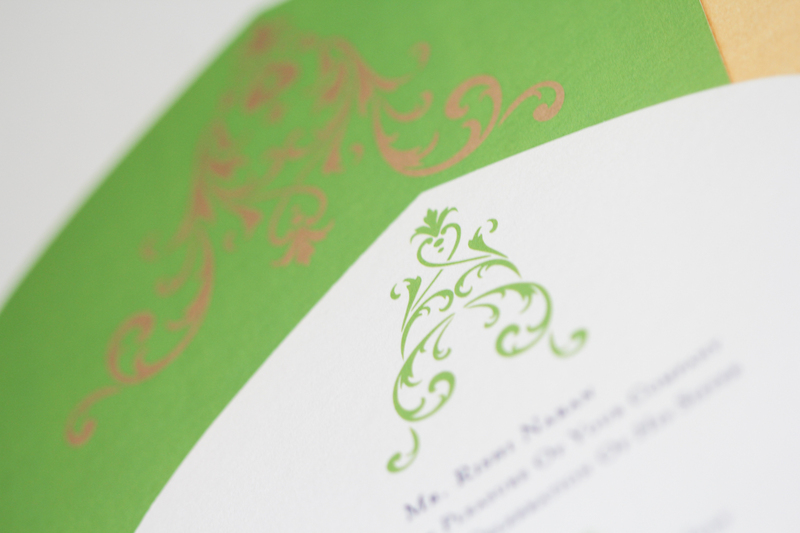 Shown here with a custom inner pocket/envelope with tiered palace bordered inserts in magenta, lime, violet, turmeric. 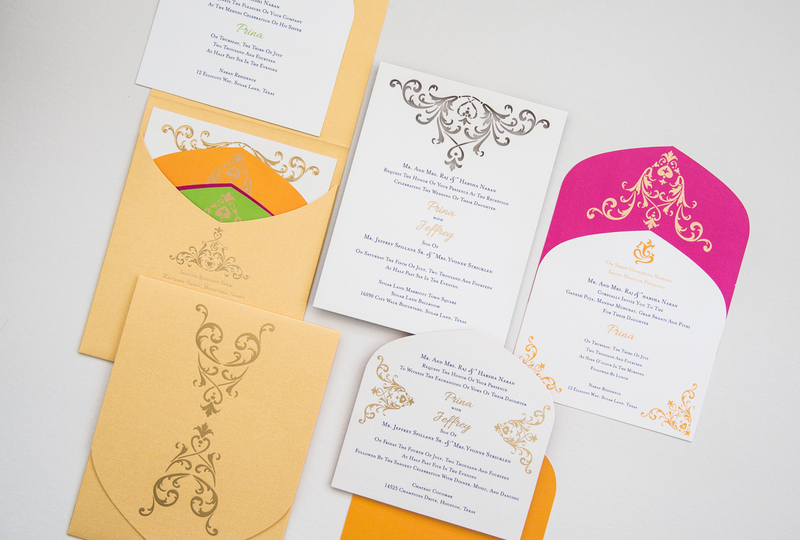 Designed for Prina and Jeff’s fusion Indian wedding at the Chateau Cocomar in Sugarland, Texas. Available with a fabric or paper folio or without a folio in your choice of colors and papers.